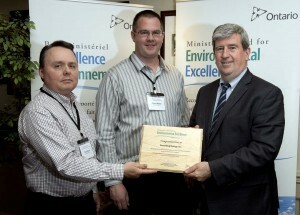 GreenBug Energy is honoured to be the recipient of the 2015 Minister’s Award for Environmental Excellence. 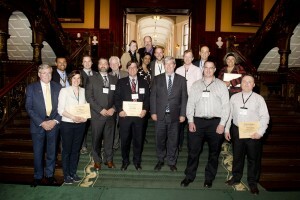 Ontario is recognizing the outstanding work of 10 groups across the province for their innovative efforts to protect the environment and fight climate change. Recipients of this year’s award promoted energy retrofits and engagement strategies to help schools and housing projects surpass greenhouse gas reduction goals, supported sustainable communities and economies, clean technology and energy innovations, as well as, bike-friendly communities. Protecting our environment and fighting climate change is part of the government’s economic plan to build Ontario up and deliver on its number one priority to grow the economy and create jobs. The four-part plan includes investing in talent and skills, including helping more people get and create the jobs of the future by expanding access to high-quality college and university education. The plan is making the largest investment in public infrastructure in Ontario’s history and investing in a low-carbon economy driven by innovative, high-growth, export-oriented businesses. The plan is also helping working Ontarians achieve a more secure retirement.